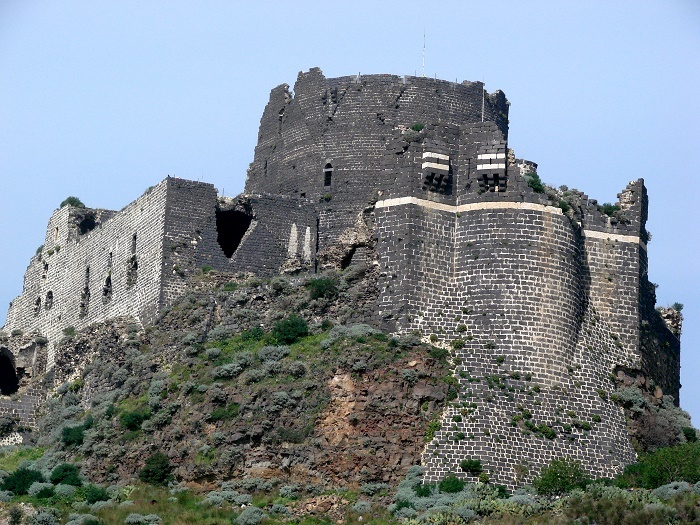 Margat, also known as Marqab, is a castle that served as a fortress during the religious Crusade wars, located near the city of Baniyas in the Syrian Arab Republic. 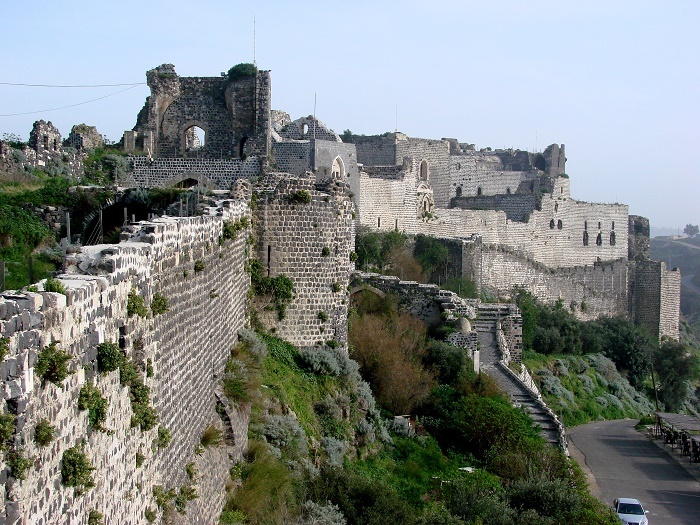 Being one of the largest medieval castles in the world, the first fortification to be raised at the hilltop where the castle is at the moment, was built during the First Crusade in 1062 by the natives who were living on the Syrian coast of the Mediterranean Sea. 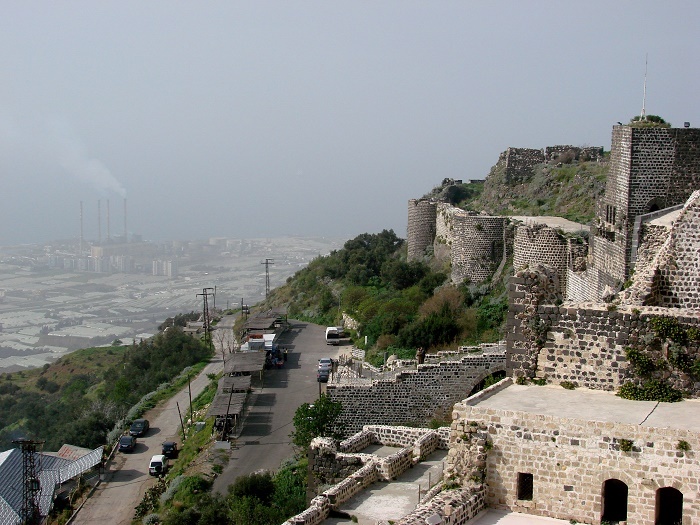 At a height of some 360 meters (1,180 feet) above sea level, the fortress was expanded in 12th and 13th centuries, when the land was ruled by the Order of Knights of the Hospital of Saint John of Jerusalem, most commonly referred to as the Knights Hospitaller. 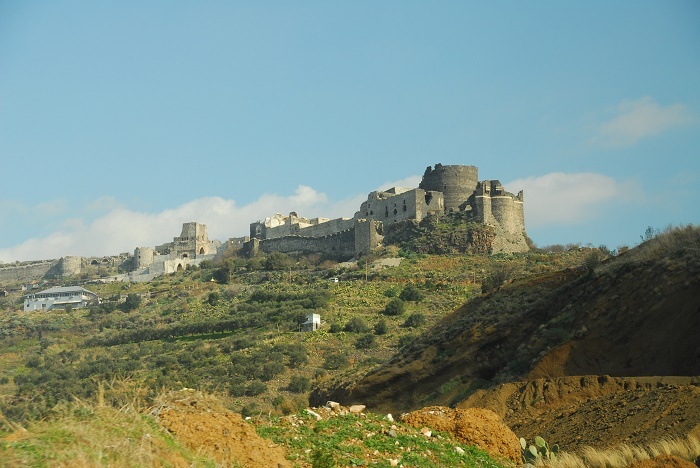 Big advantage to Margat was its location which was used as a defensive feature, otherwise known as spur fortification, nonetheless, there are many typical elements of a concentric castle, which in fact means that has two concentric curtain walls. 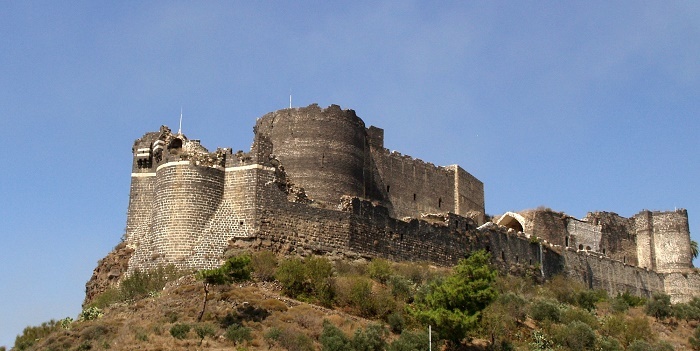 To enter the castle, there is a bent entrance that leads through the base of a gate tower, and a very notable feature is the large circular tower, often called as donjon, which stands at the southern end of the castle. 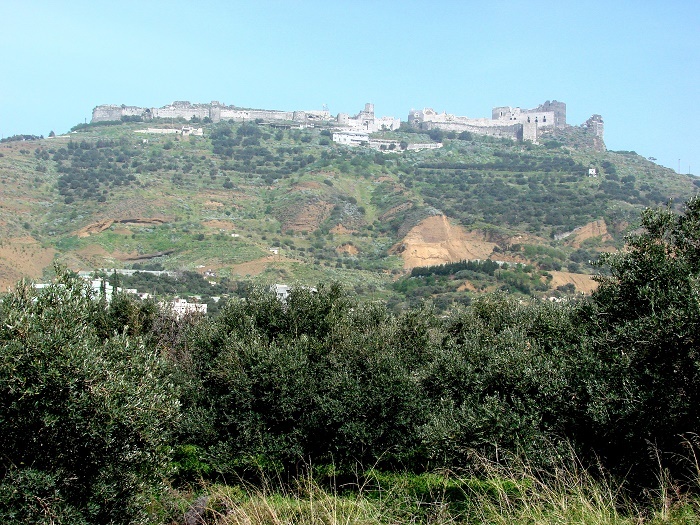 Standing atop of an extinct volcano, Margat has survived waves of offensives starting from the Emir of Aleppo (Malik a- Daher) in 1204, to the Turkoman Emir (Saif al Din Balban) in 1280. 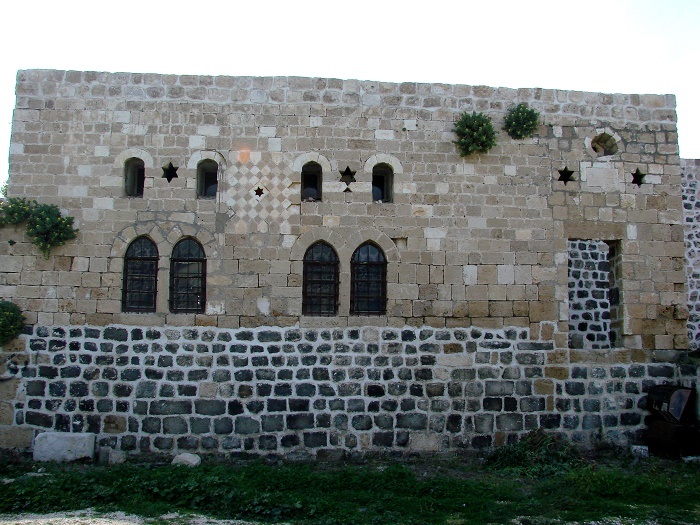 Due to the lack of “volunteers” from Europe made the fortress succumb to the bombardment and undermining of Qalaun in 1285. 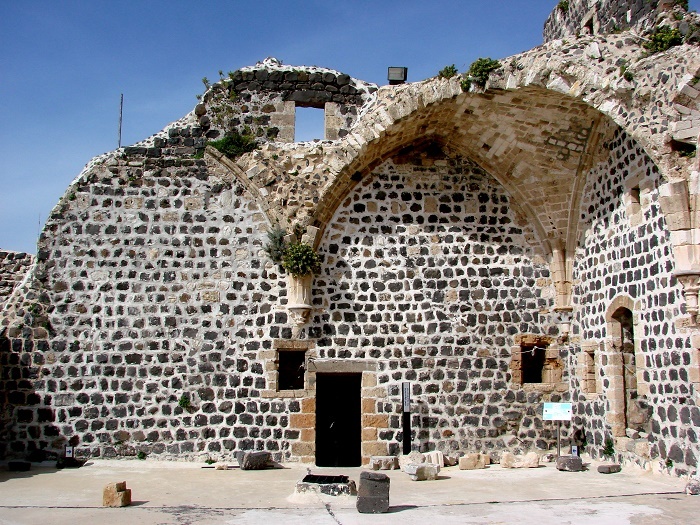 That is when the Crusaders were surrounded and defeated, which at the time, it was allowed to them to flee to Tartus and Tripoli, which was the beginning of the end for the Crusaders in the region. 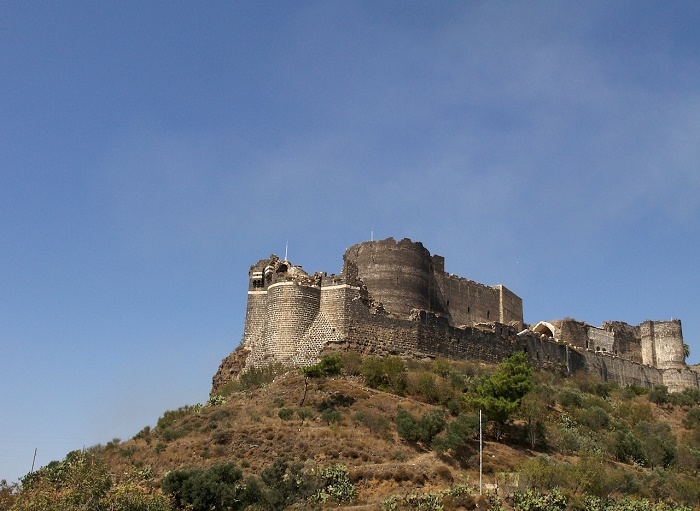 Having in mind the extensive damages the fortress had throughout the centuries, the castle was not taken care of up until 2007, when some reconstruction and renovation began. 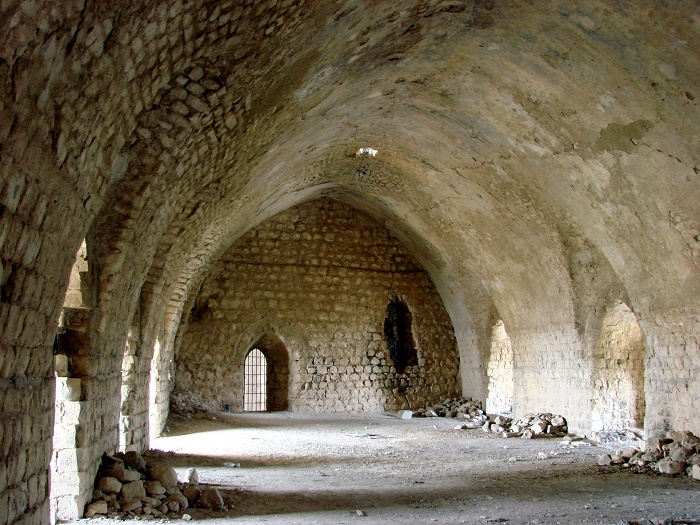 Anyhow, with the beginning of the Syrian Civil War that is still going on since 2011, it is unclear whether Margat has been reconstructed fully, or just partially with hope that it will wait for a more peaceful time, so that it will see again the glory it once had. 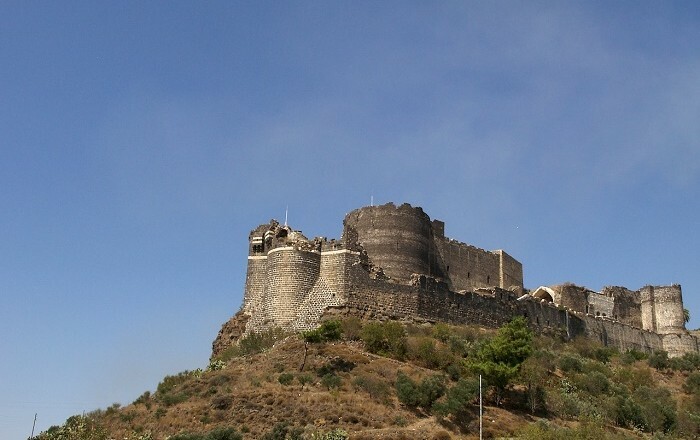 Until then, this unusually colored fortress shall speak about the infamous history, as it is to some, and glorious history as it is to others, hoping that once again there will be visitors who would like to walk inside the remains of the walls, or to wonder in the deserted halls that are taking back in time every single person.